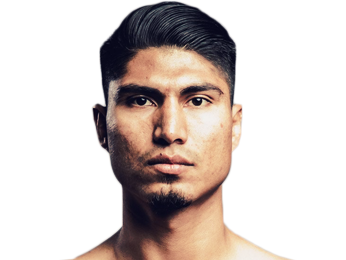 Born on December 15, 1987 in Ventura, California, Mikey Garcia is a hard-hitting boxer whose father trained Fernando Vargas. 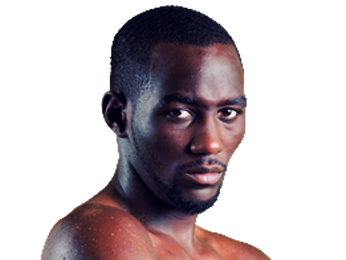 He started training early on and had a successful amateur career, starting with a bronze medal at the 2001 Junior Golden Gloves. He would go on to win gold in 2004. 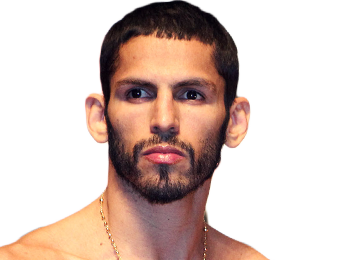 Garcia made the jump to being a professional boxer on July 14, 2006 when he took on Domingo Herrera Mendoza. 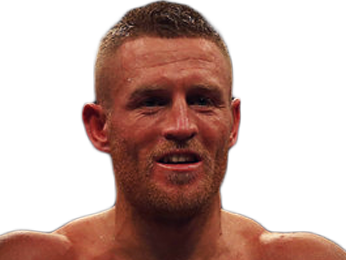 He cruised to a unanimous decision victory after four rounds. He showed off his power after that, knocking out Andrew Gannigan in the first round and Mario Franco in the second. His first match against an opponent who had won a fight was against Baladan Trevizo, who he knocked out in the first round. 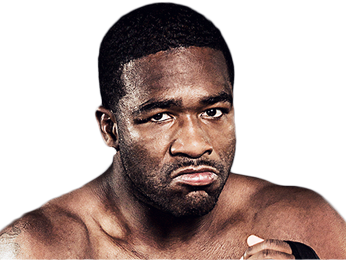 He ended up putting together a streak of eight consecutive wins by KO or TKO, with none of those fights even going past the third round. Mikey Garcia wasn’t facing tough competition at the time, but he was getting the job done in dominant fashion and staying active. It took him several years of taking out lesser competition before he got his first shot at a title. 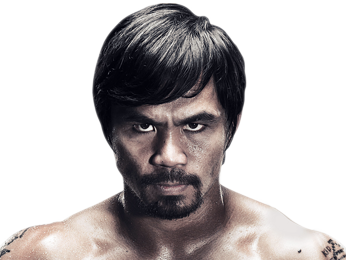 He had built up a record of 20-0, with the majority of those wins coming by stoppage. On April 3, 2010, he fought Tomas Villa for the USBA featherweight title, and he didn’t waste any time, winning the fight by TKO in the first round. 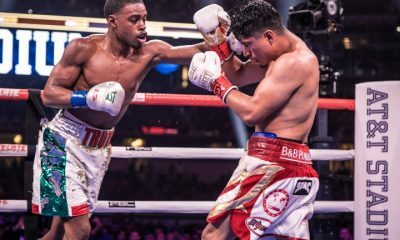 He followed that up with an eight-round unanimous decision victory over Pedro Navarrete. 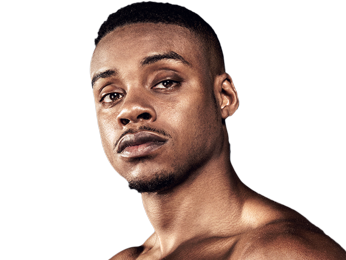 Next, he took out Cornelius Lock by TKO in the 11th round, and then defeated Olivier Lontchi by KO in the fifth round. 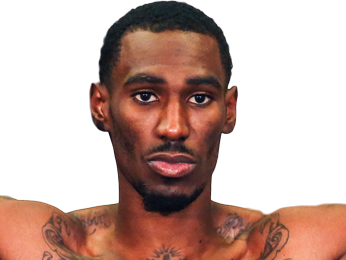 That set him up for a shot at the NABF and WBO-NABO featherweight titles on March 26, 2011. He was 24-0 and taking on Matt Remillard, who was also undefeated at 23-0. Despite Remillard’s impressive record, he was no match for Garcia, who stopped him after 10 rounds. 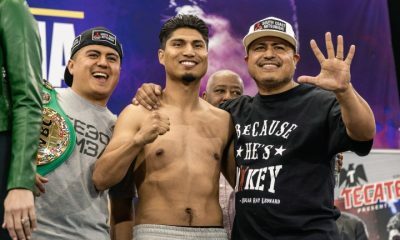 Mikey Garcia was making a name for himself as a prospect on the rise, as he combined considerable punching power with technical skill, and he could even switch hit, going southpaw to open up new angles. He took a big step up in competition on January 19, 2013 when he fought Orlando Salido for the WBO and The Ring featherweight titles. He was clearly controlling the fight when he broke his nose because of an accidental head clash in the ninth round. It went to the scorecards, where he won a technical decision. While Garcia stopped Juan Manuel Lopez in four rounds, he didn’t make weight and was stripped of his WBO title. 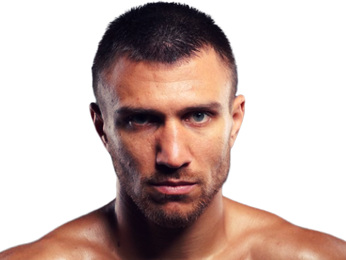 He went up to junior lightweight and won the WBO title with a beautiful KO of Roman Martinez on November 9, 2013. After defending that belt once, he got in a contract dispute which kept him out of action for two-and-a-half years. He came back on July 30, 2016 and showed no signs of ring rust, stopping Elio Rojas by TKO in the fifth round. 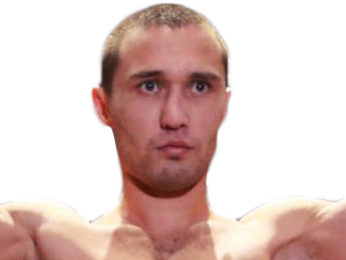 On January 28, 2017, he became a three-division champion when he won the WBC lightweight belt with a third-round KO of Dejan Zlaticanin. 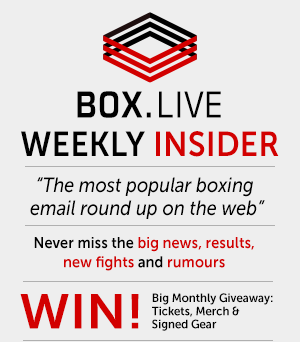 Lomachenko: 100% I Want Mikey Garcia – But Can He Make 135? 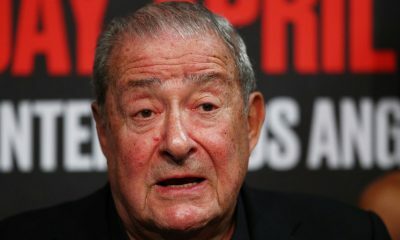 Arum Smiles: Khan Will Fight Like a Man, Garcia Came To Survive! 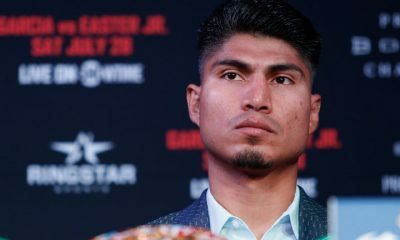 Mikey Garcia: I’ll Get 5th Title, I’ll Be a Champion at Welterweight! Sorry, no fights sheduled for Mikey Garcia at the moment, check potential opponents & fights below. Sorry, we couldn't find any with fights scheduled with odds for Mikey Garcia, please check back soon. Sorry, we couldn’t find any ticket details for Mikey Garcia at the moment.